It’s a plug-and-play rotating ball effect light featuring four 3-watt, tri-colored LEDs with adjustable speeds for continuous rotation. Take it right out the box and start spreading beams around the room all night long—this fixture has no duty cycle. Plus, up to 24 units can be linked together for shorter cable runs—which means more coverage in less time. Considering purchasing the Chauvet Cosmos LED Tri LED High Power Effect DMX ? Have questions? Ask people who've recently bought one. 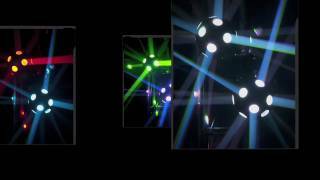 Do you own the Chauvet Cosmos LED Tri LED High Power Effect DMX ? Why not write a review based on your experience with it. great for bedroom DJs but hate seeing these in clubs, unless it is a retro room then these are allowed but never use in professional club setting. 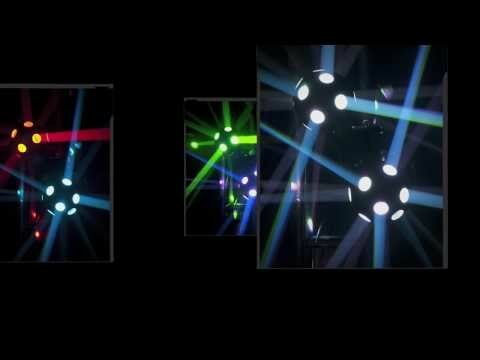 Seen a video for Chauvet Cosmos LED Tri LED High Power Effect DMX online or have you own video? You will earn 298 loyalty points with this product worth £0.75, when logged in. Check out Chauvet Cosmos LED Tri LED High Power Effect DMX on DJkit.com!